My five weeks in Morocco turned out being much more planned than I expected. Not that I’m complaining — I saw some amazing places, did some fantastic things, and, of course, stayed at some wonderful hotels. But because I wasn’t flying by the seat of my pants as much as I normally do, I didn’t get to stay as long as I might have liked in some of the more undiscovered parts of Morocco (and didn’t get to the Sahara at all!). So here’s an article about two of those smaller places — Moulay Idriss Zerhoune and Chefchaouen — as well as a bigger place — the capital, Rabat — that many people don’t get to: Rabat: Best homebase for your Moroccan holiday, which I wrote for LuxuryAndBoutiqueHotels.com. And if you are visiting Morocco’s big cities, be sure to read my How to survive the medinas of Morocco — lots of tips and tricks for keeping your stress levels down in the crowded labyrinths of Fès and Marrakech (for Passport Health). Moulay Idriss is one of those special little places that you never forget. 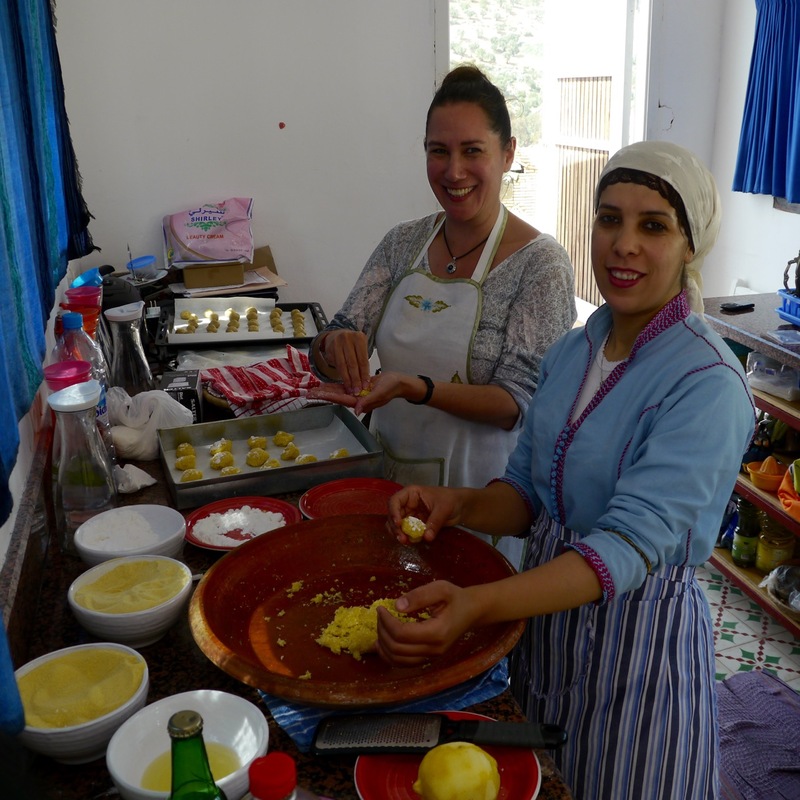 I loved the baking class I took with Hajiba Dahik at Rose Button’s pretty Dar Zerhoune guesthouse (thank you for your hospitality, Rose! ), and taking our trays of goodies down the street to the communal bakery to be turned into deliciousness. I loved walking around town with Rose and hearing everyone greet this New Zealand-born expat, and even ask her if she planned to run in the next election. I loved the spices I bought in the market, and the perplexed looks I got from the shopkeeper and other customers because I wanted four packets of cinnamon, and three of ginger, and three of paprika … why I wanted to bring home gifts of newspaper-wrapped spices was a mystery to them. I loved the atmosphere of the main street in the evening — sadly, just as I had to leave to get back to Fès — with everyone eating street food and talking together, and young couples holding hands and avoiding their parents. You could spend several days in Moulay Idriss, but still not want to leave. Forthcoming story on Moulay Idriss (for Journey Beyond Travel). Chefchaouen is another of those special places. While it was a little touristy in parts, Morocco’s blue city is a marvel. Despite the hot sun and climbing up hills and flights of stairs, I felt chilly as I walked through the blue tinted streets of ‘Chaouen, with my eyes tricking me into thinking the walls were made of ice. I just took a day-trip here — a long one, it’s three hours from Fès! — but thanks to the generosity of Youssef and Chrif Trans, I was driven the long distance in a very comfortable SUV and learned so much about Morocco thanks to my excellent guide and driver Mustapha Mouhtaj. If you need a tour company or driver in Morocco, I can highly recommend Chrif Trans! Read more about these two pretty towns and about Rabat, Morocco’s capital, in my article. 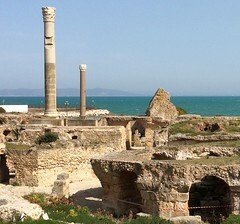 Rabat is an excellent place from which to base yourself to see all the main sites in Morocco. It was so laid back that I didn’t feel like a walking dollar bill, which was often the case in the bigger tourist cities of Marrakech and Fès. Instead kids giggled when they saw me and shyly asked if I could take their photo (above). And when I asked the cats if I could take theirs, they just yawned. Looking for more on Morocco? Thank you again to Rose Button of Dar Zerhoune and Haj Youssef of Chrif Trans who each offered to host my Moulay Idriss baking class and travel arrangements to Chefchaouen, respectively. Moroccan hospitality at work again! 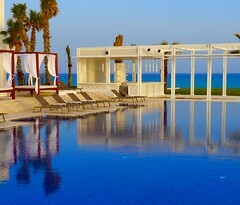 My stays at the two hotels I mention in the article — Villa Diyafa and The Repose — were hosted by the hotels in exchange for articles on LuxuryAndBoutiqueHotels.com. As usual, no one reviewed or approved any of my articles prior to publishing.